The big award show is upon us…are you having a watch party? ScanNCut Specialist Erin Bassett presents her Hollywood Glam Party tutorial and video to get your home all glammed up for the big awards night. Here’s some easy-to-make pieces that will jazz up your get-together and personalize some basic party décor. Go from boring to glamours! Download all the free patterns. To use them, either save them onto a USB drive and insert it into your ScanNCutDX or open them in CanvasWorkspace and use the ScanNCut Transfer feature to send it to your computer wirelessly. 4. Assemble the ready-made tissue paper fans and then adhere a large gold start to the center of each fan. 5. At your sewing machine, sew down the center of one of the circles, sew off the edge a few stitches and then threw another circle… repeating until you have a chain of circles. 6. Cut out the “party-foil-centerpiece” pattern from the free downloads by placing the black cardstock onto the standard mat and insert it into the machine. Load the pattern onto your ScanNCut DX and then select the scroll pattern and delete it. Place the blue protective sheet over the foil and use Washi tape to hold it in place. Press Start. Once it’s finished, unload the mat and remove the foil and protection sheet and brush off any gold debris. 9. On your ScanNCut DX, click on “patterns” then choose the ‘words’ category. Click on the word ‘party,’ resize it to 3.5″ wide and 1.04″ high and add it to the mat. 10. Print the ‘party hashtag’ on white cardstock. Load the “party hashtag” pattern onto your ScanNCut DX. Press the ‘scan’ icon and ‘start’ to scan the page. Use the “Zoom” icon to help enlarge the image in order to see it better. 11. Select “Foil1 (Glue),” follow the instructions on the screen and press ‘start.’ When finished, remove the glue pen and re-cap it. Select “Foil2 (Foil).” Follow the instructions on the screen. Place the pressing tool into the holder and insert into the machine. Place the gold foil sheet, gold side up on the top of the dried glue. Once it’s finished, unload the mat and remove the foil and protection sheet and brush off any gold debris. 12. 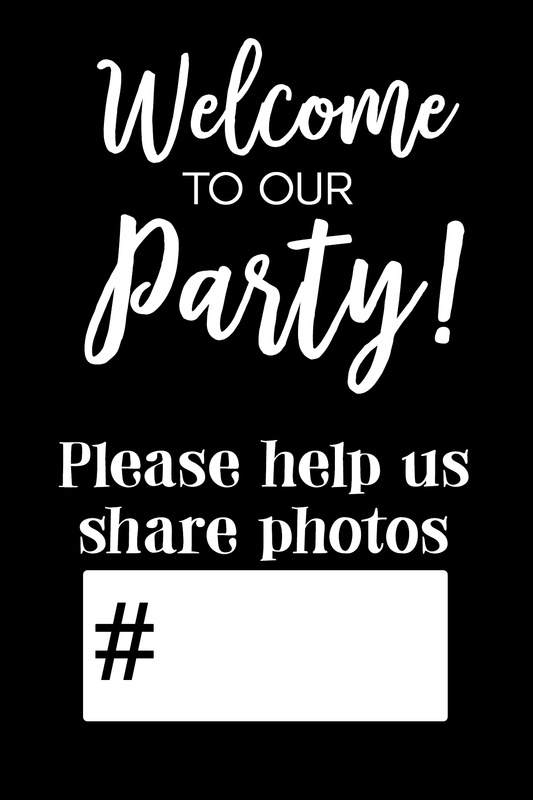 Trim down the party hashtag sign to 4″ x 6″ and insert it into the frame. Give someone your heart for Valentine’s Day!